Many in urban India tend to believe that caste would and should have disappeared by now had it not been politicized and used by wily actors in India’s electoral politics. Its institutionalization through the reservation policy, the quotas for Scheduled Castes and Other Backward Classes, is also cited as the other reason for its continued survival. Against the popular middle-class assumption that the continued presence of caste is a result of incomplete modernization of India’s economy and its cultural values, the book constructs a different trajectory of caste. The institution of caste has seen significant changes, particularly during the past four or five decades. This change has been experienced almost at all levels and almost in all regions of the country, although not following a single evolutionary or linear path of progression. More importantly, even when the institution of caste and the social and economic structures sustaining it undergo significant changes, caste has not disappeared. 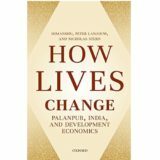 Even in regions where the change in social and economic domains of rural life has been quite “radical” and the older order of caste has nearly disintegrated, caste-based divisions and inequalities continue to matter and often overlap with the emergent disparities of the new economy, both rural and urban. The realities of caste in contemporary times are also not exhausted by analyses of electoral politics. Caste matters in multiple ways and in different spheres of social, economic and political life, sometimes visibly, sometimes not so visibly. 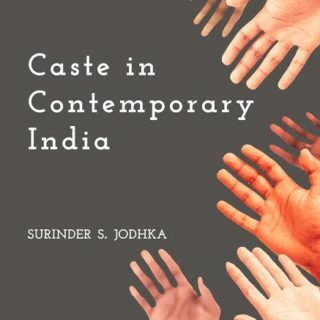 The book is an outcome of Prof. Jodhka’s work on caste completed over the past decade and half. Most of this research has been in the form of empirical explorations of contemporary manifestations of caste carried out both in rural as well as in urban settings in northwest India. They represent a specific mode of engaging with the subject, which is different from the manner in which caste was imagined and studied by sociologists/ social anthropologists and other social scientists until the 1970s, or even in the 1980s. However, the book is not only about documenting the empirics of caste in contemporary India, but tries to present a framework that would hopefully help us understand social inequalities in other societies as well. Surinder S. Jodhkais Professor of Sociology at the Jawaharlal Nehru University, New Delhi. He is also an affiliate Senior Fellow at the Centre for Social Sciences and Humanities (CSH), New Delhi. He researches on different dimensions of social inequalities – old and new – and the processes of their reproduction. Empirical focus of his work has been the dynamics of caste and the varied modes of its articulation with the nature of social and economic change in “neo-liberal” India; studies of agrarian social change and contemporary rural India; and the political sociology community identities. His publications include Interrogating India’s Modernity (ed. OUP 2013); Caste: Oxford India Short Introductions (OUP 2012); Village Society (ed. Orient Blackswan 2012); Community and Identities: Contemporary Discourses on Culture and Politics in India (ed. Sage 2001). He is editor of the Routledge India book series on ‘Religion and Citizenship. He is among the first recipients of the ICSSR-Amartya Sen Award for Distinguished Social Scientists, for the year 2012.